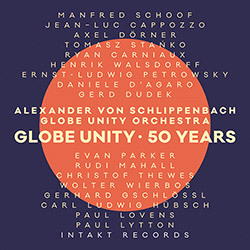 Fifty years after pianist Alexander von Schlippenbach joined the Manfred Schoof Quintet with the Peter Brotzmann Trio and named it the Globe Unity Orchestra, the ensemble is larger and stronger than ever, here celebrating the milestone in a band of 18 of the globe's most impressive improvisers, recorded live in a commanding concert at Jazzfest Berlin 2016. 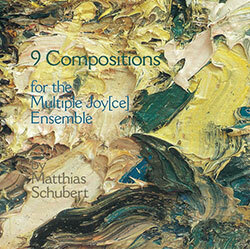 German composer and improviser Simon Rummel presents the 2nd release from his 11-piece Simon Rummel Ensemble, blending his interest in acoustic phenomena and improvisational harmonics in an extended work that shifts from beautiful tonal work to disruptive cacophony and back to melodic music, blending jazz and 20th century approaches; a great achievement. 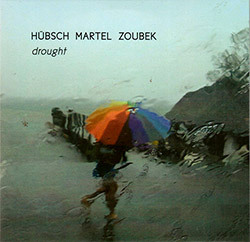 Ensemble leader and tuba player Carl Ludwig Hubsch created this musical concept inspired by the guitar player Keith Rowe, exploring one static sound in the ensemble, maintaining it and in the same time interacting with utmost care and openness for any necessary change, in a 22-piece ensemble of exceptional players. 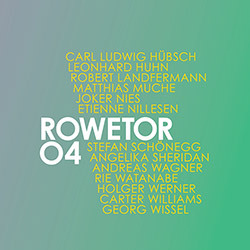 A live performance at the Loft in Cologne, Germany, 2015 from the recording and performing trio of Carl Ludwig Hubsch on tuba & objects, Pierre Yves Martel on viola da Gamba & harmonica, and Philip Zoubek on the prepared piano, restrained yet highly active playing. 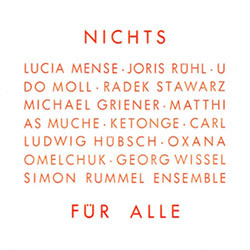 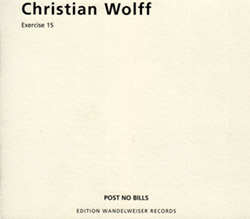 Cologne pianist and composer Simon Russell wrote these compositions, melding jazz, classical, electronic, even tango music into lyrical and joyfully quirky works, performed by his ensemble with Goerg Wissel, Matthias Muche, Udo Moll, Carl Ludwig Hubsch, &c.
Carl Ludwig Hubsch (tuba); Ole Schmidt (bass clarinet); Chris Weinheimer (bass flute); Robert Schleisiek (piano); and Tom Lorenz (vibraphone) interpret Christian Wolff's composition based on "Union Maid", a song from the 1920's, transforming the work through temporal expansion. 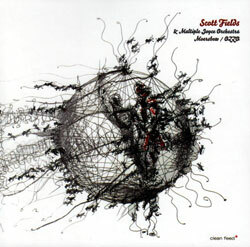 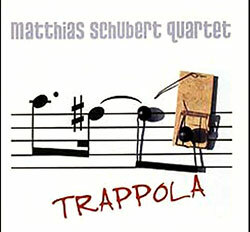 Matthias Schubert conducts nine dynamic and spectacular compositions dedicated to John Cage, Anthony Braxton, Fred Frith, Duke Ellington, &c. and performers including Scott Fields, Frank Gratkowski, Carl Ludwig Hubsch, &c.
Tenor saxophonist Matthias Schubert leads a quartet with Claudio Puntin (clarinet) Carl Ludwig Hubsch (tuba), and Tom Rainey (drums), integrating New Orleans jazz forms into modern improvisation, including covering Jelly Roll Morton's "Shreveport Stomp". 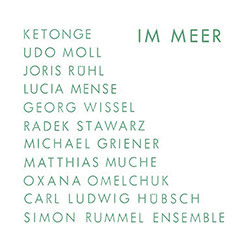 A live concert of Fields' Quite Large Orchestra (aka Multiple Joyce Orchestra) with Frank Gratkowski, Christina Fuchs, Thomas Lehn, Carl Hubsch, &c. &c. performing modular compositions for improvising chamber group, plus an homage to Merzbow. 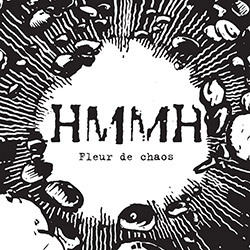 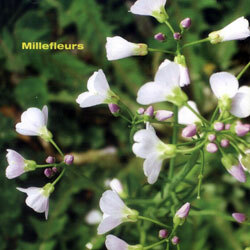 The millefleurs vocal ensemble brings 12 vocalists together in varying groups for minimal and unique vocalisation over a taxonomy of floral genres and species.